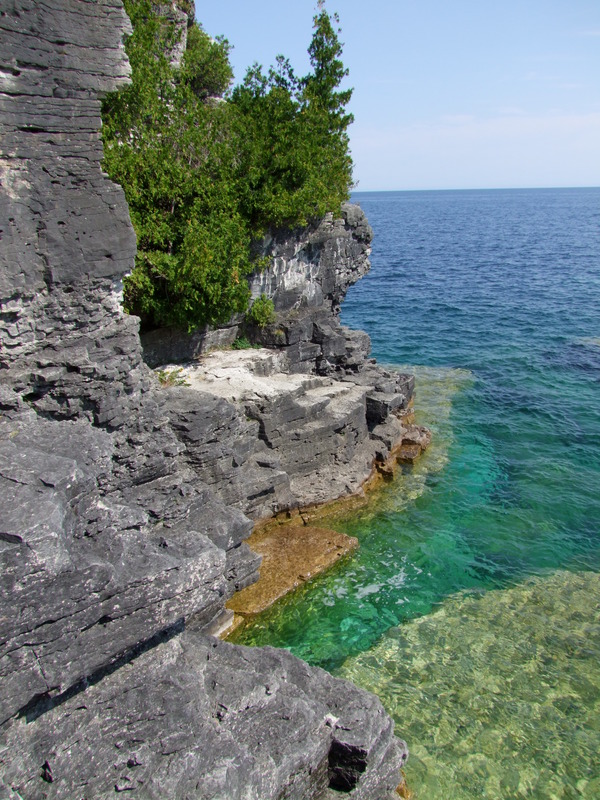 I was a little divided about what to title this post – although my review is technically of the Bruce Peninsula National Park, my experience is really with camping at Cypress Lake. Luckily for me, most people regard the two locations as synonymous and when they think of ‘Bruce Peninsula National Park’ they also think ‘Cypress Lake’. “I have been to some beautiful places, but there is something about the Bruce that really affects me. I can’t stop daydreaming about the stunningly beautiful cliffs of the Niagara Escarpment as they meet the pure pristine waters of the Georgian Bay, the expansive and desolate sand beaches of the western coast, falling asleep to the sound of the waves lapping against the rocky shore of the Georgian Bay” (September 2008 TripAdvisor review by xrochester). “We have been to many Provincial and National Parks throughout Canada and this is definetly [sic] one of the nicest ones we have been to. We stayed in the Cyprus Lake campground” (December 2008 TripAdvisor review by Krista Y). “We took a longer hike to the Grotto and Indian Head cove, along a gorgeaou [sic] rocky beach. The water along this side of Georgian bay is very blue and gorgeous. Cyprus Lake itself is also very nice, with a sandy beach and warmer water. We spent a morning at Singing Sands, and were very impressed! The beach is made up of extremely soft sand that goes on forever. The water is also warm compared to the rest of Lake Huron. The hiking is also good at Singing Sands, and we even saw a rattlesnake there.” (July 2011 TripAdvisor review by blueberry 819). Before traveling to Cypress Lake with some friends in the first year of my Master’s program, I had never been ‘real’ frontcountry camping. My family wasn’t interested in either backpacking or car camping when I was a child – we traveled instead to the family cottage on McCullough Lake near Owen Sound. The lack of shower, washroom, and other so-called modern amenities at this retreat was regarded as rustic enough for our tastes. In high school, I went with an outdoor adventure group on a backcountry camping (i.e. spots accessible only by backpacking, portaging, etc.) trip that involved a lengthy backpacking and portaging experience. Cypress Lake was an incredible ‘first-timer’s’ frontcountry camping (i.e. camping spots accessible by motorized vehicles) experience and I’ve since been back for an encore. Tobermory, Ontario (though quite packed with tourists during the summer season) is a short 15 km drive away from Cypress Lake, so there are rainy day activities near at hand for family groups (Parks Canada, 2014). 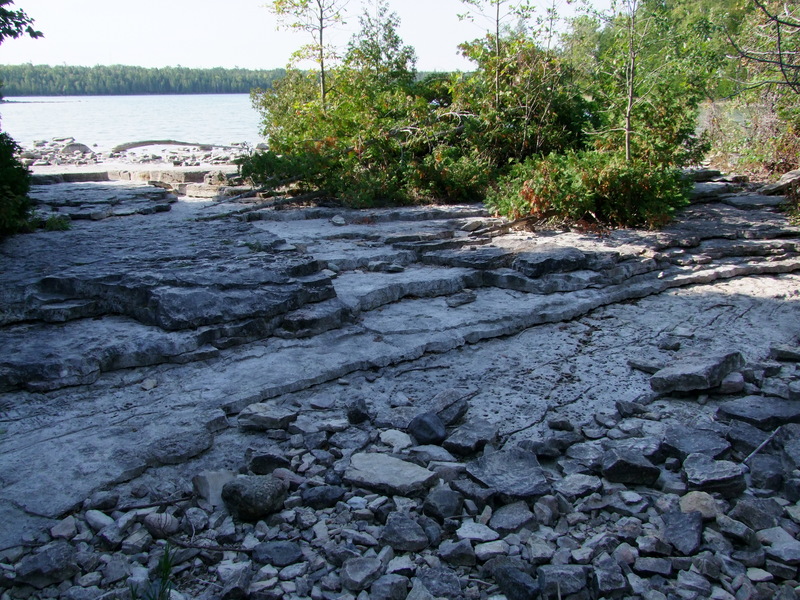 The Flowerpot Island is a mere 6.5 km off the coast of Tobermory (Flowerpot Island, 2014). Additionally, Tobermory marks the northern terminus of the Bruce Trail and a cairn, erected in 1967, marks the opening of this historic Canadian trail (Bruce Trail Conservancy, 2014). As for hiking within and around Cypress Lake campground, there are several options including the Horse Lake, Georgian Bay, Cypress Lake, and Marr Lake trails (Tobermory, 2013). 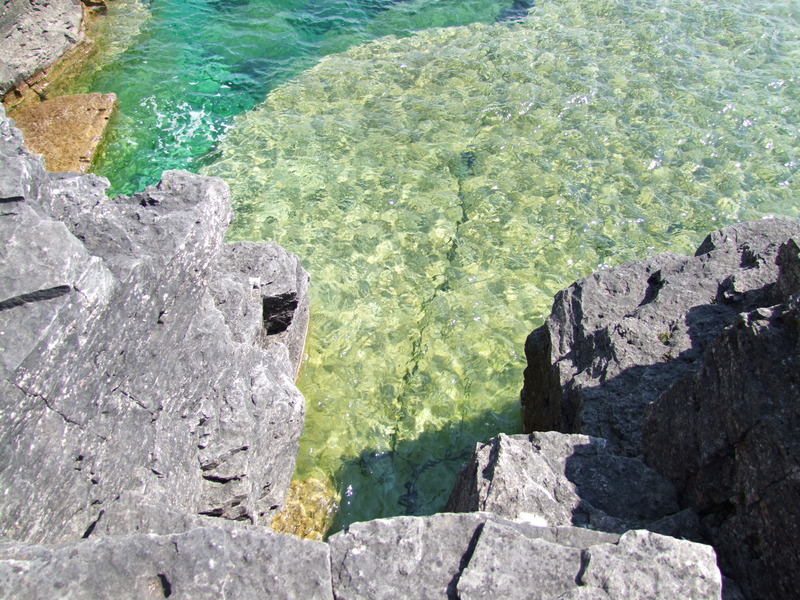 Most visitors also hike along some portion of the Bruce Trail within the park, and find that the highlights of their visit are generated by the incredible, awe-inspiring vistas in the Grotto and Indian Head Cove (Explore the Bruce, 2014). Pictures and videos of the incredible phenomenon that is the Grotto can be found here. You really don’t have an excuse not to visit this gorgeous campground – especially when it’s a reasonable three to five hour drive from Southern Ontario and offers yurts as an alternative for those who do not want to bunk down in a tent every night. Camping, swimming, canoeing, and sleeping under the stars are just a few memories awaiting you at Cypress Lake! Where sky, rock, and water meet. The author does a little light climbing. Looking out over Cypress Lake. Don’t be deceived; these waters are cold!